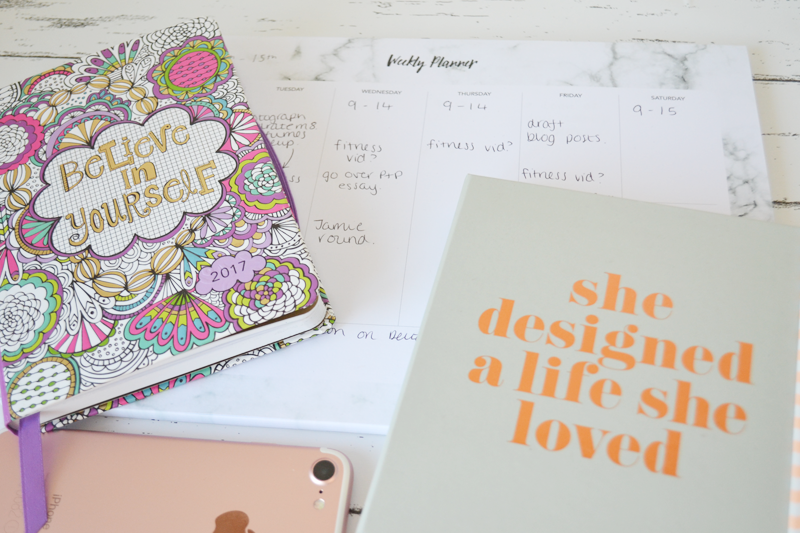 I need a lot of organisation in my life, whether it’s to do with blogging, uni work or just life in general. I need to know what’s happening, when it’s happening, when it needs to be done by and everything else in between. In that sense, I am the least laid back person ever, but it works out alright. I thought I’d round up for you my top tips for keeping organised, they seem to work out for me! Whenever I have an idea, usually for a blog post, but sometimes just something I need to remember to pick up from the shop, or if I find a good book to reference from, I write it down. Too many times I’ve thought my memory is good enough to remember it when I get home, but guess what? It’s not. Often I don’t have a pen and paper with me, so I use the handy little Notes app on my iPhone to remember whatever it is. 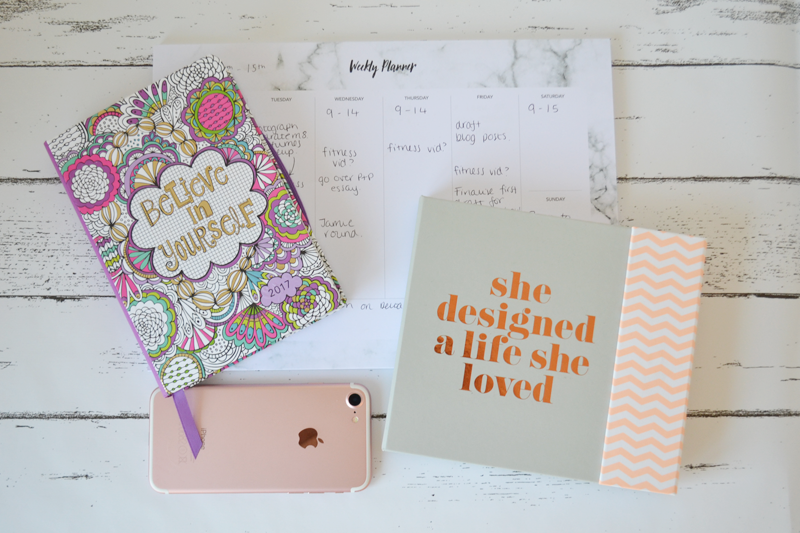 Last year, using a weekly planner transformed my life. The idea of a weekly desk plan is that it sits on your desk and you can write down what you’re doing each day. While I’m at uni I like to write down all my lectures and netball trainings, and work out what I can do in between. It’s so helpful having something visual to look, and knowing what your plan is for the full week ahead. The weekly planner is useful, but I also like to keep a diary. A diary is more useful for long term things, like appointments and future deadlines. It’s handy to write down important dates that you know otherwise you’d forget! Sometimes when you’ve got a manic day, you’ve gotta get up early! Set an alarm, sacrifice that lie in and maybe you’ll get everything done in time that you can sneak a nap in somewhere too. If you’ve got lots of things to do, maybe set an alarm to get each done by too. Having an organised deskspace, and room in general makes life so much easier! Keep everything in labelled folders so you’re not frantically trying to find files later on. "Review: Revolution Vivid Baked Highlighter"